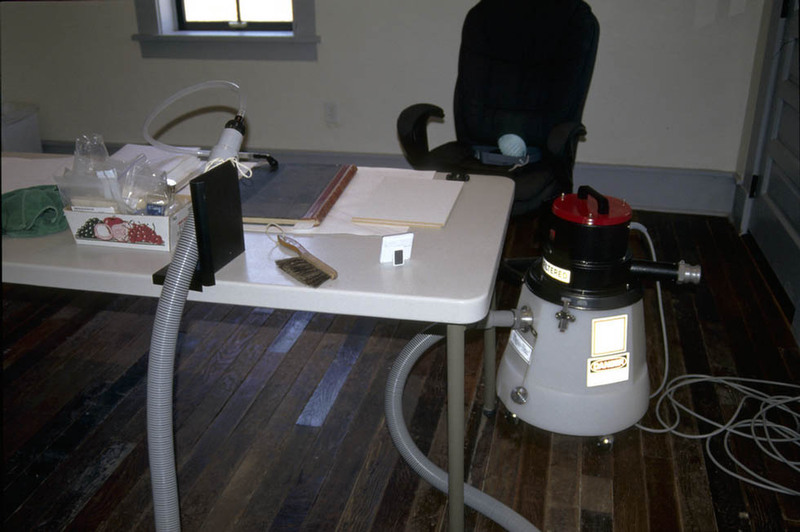 HEPA vacuum with variable suction and micro-attachments used to clean ledgers at The Lincoln State Monument. Cariño Conservation LLC provides services to the caretakers of heritage collections and valuable items. Services include conservation treatment, collection assessment, customized training and workshops.